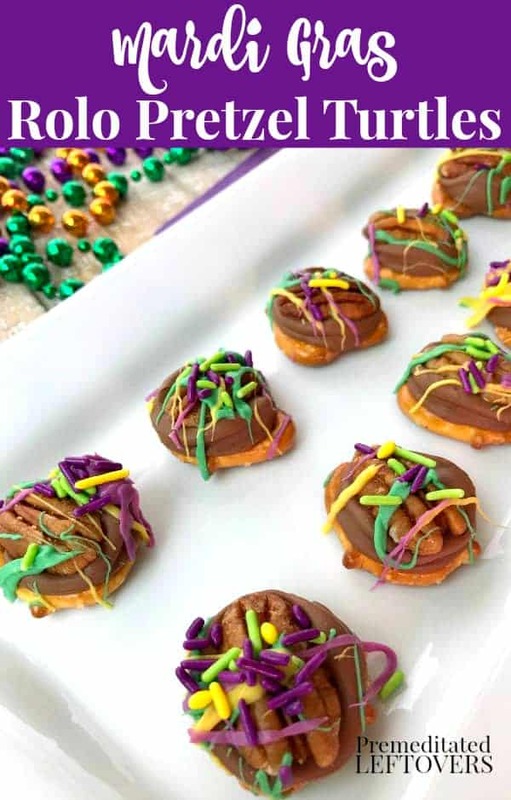 This bite-sized Mardi Gras Rolo Pretzel Turtles Recipe is the perfect little addition to your Mardi Gras celebration! I love the sweet, salty, chewy, and crunchy combination found in Rolo Pretzel Turtles. 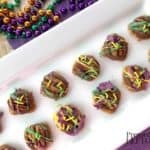 The fun Mardi Gras colors of purple, green, and gold are drizzled over the pecans and topped with purple, green and yellow sprinkles. 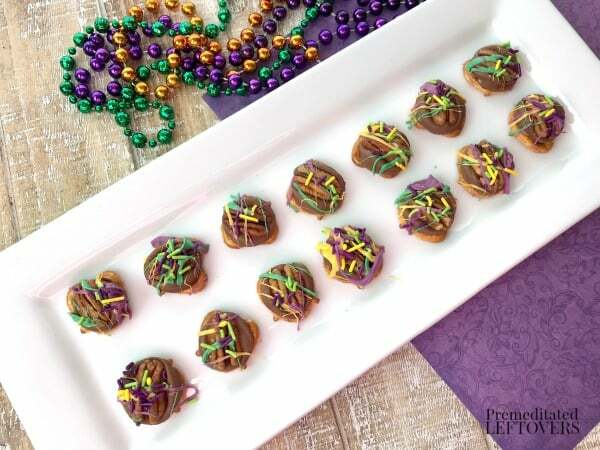 This turns a delicious candy treat into a spectacular addition to your Mardi Gras party. 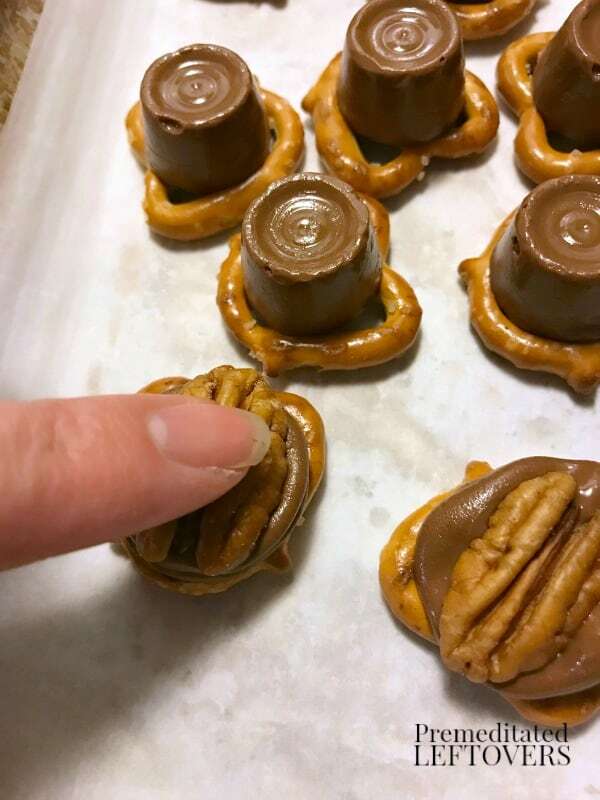 Rolo Pretzel Turtles are easy to make! You just place a Rolo on a pretzel twist, then heat it until the Rolo is soft. Then you place a pecan on top of the Rolo to smash it down. 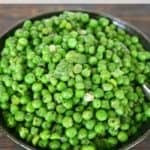 They tast wonderful with very little time or effort. 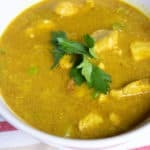 The toppings give them the wow factor that makes it look like you worked hard to make them. 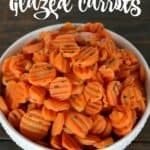 Melt candy coating in individual bowls according to package directions. 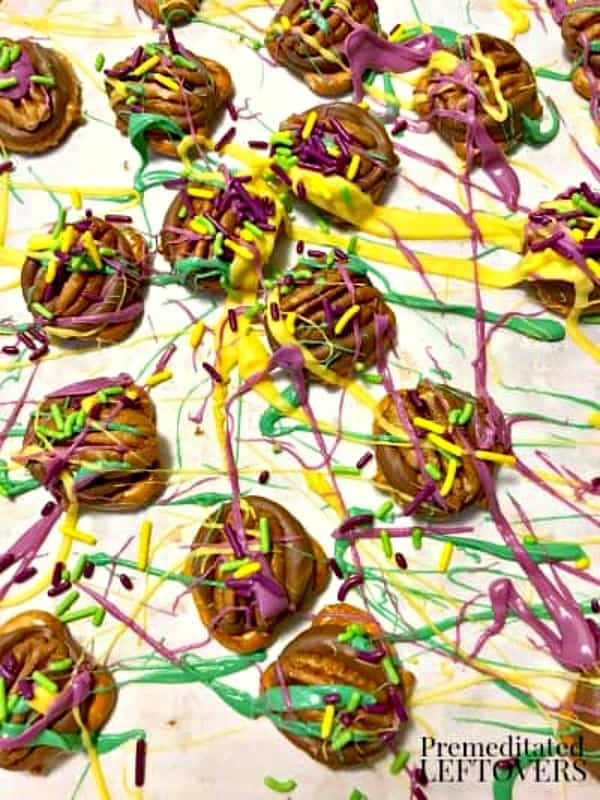 One color at a time, drizzle candy coating over pretzel turtles. Immediately add sprinkles. Allow the candy to set before storing. To speed the setting process, place turtle pretzels in the refrigerator. Store the Rolo Pretzel Turtles in an airtight container at room temperature. Melt candy coating in individual bowls according to package directions. One color at a time, drizzle candy coating over pretzel turtles. Immediately add sprinkles. Allow the candy to set before storing. To speed the setting process, place turtle pretzels in the refrigerator.